People just adore pasta. It's a simple fact. ...dispel the myth that pasta is complicated to make. 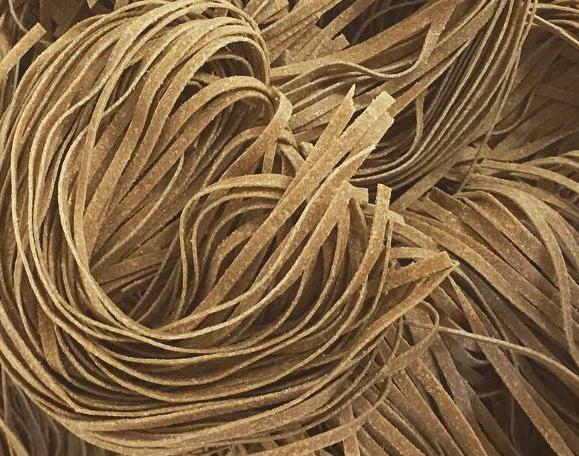 Pasta is as old as flour, so it is no surprise that the variations are endless. No dish in history has as many variations, colors, motifs, tastes, textures and subtleties as a dish of pasta. Here is the author in a lovely 2 minute video showing and telling you what is in his book, all the while he makes some delicious looking ravioli. We learn from the book, which I received as a review-copy, about the science of flour, and how to vary the basic ingredients to at taste and texture to the pasta. There are traditional recipes like Tagliatelle with Bolognese Sauce and modern variations such as Farfalle with Chorizo and Favas (actually, this is a very Sicilian dish!). There are plenty of photos accompanying the text, showing the making of pasta, and many of the finished dishes. There are lots of meat sauces, too, which are the oldest, most traditional types of sauces. This is probably a good gift idea for any friend who loves pasta but is afraid of attempting to make it on their own. The author's enthusiasm is sure to overcome their fears. Be warned, however: reading this book will make you very hungry! 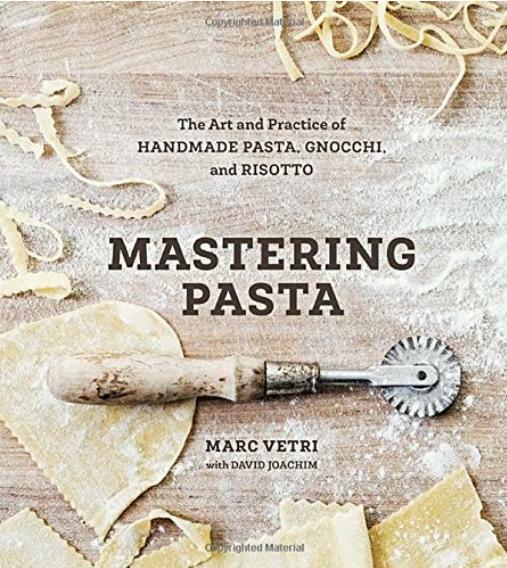 From Marc Vetri, acclaimed master of pasta and chef/owner of four highly successful and popular Philadelphia restaurants, comes a detailed primer on artisan pasta-making for home cooks and professionals, including 100 of Vetri's favorite recipes. Opening with a brief tour of pasta-making in Italy, then moving on to the details of making pasta at home, Mastering Pasta explains exactly how to build doughs from scratch, craft a variety of pasta shapes, then pair them with the ideal sauces and condiments for spectacular finished dishes. This comprehensive guide from a recognized expert is packed with special features, including opinionated sidebars on frequently asked questions (Should pasta always be cooked al dente? To cheese or not to cheese?) as well as advanced preparation and storage notes. 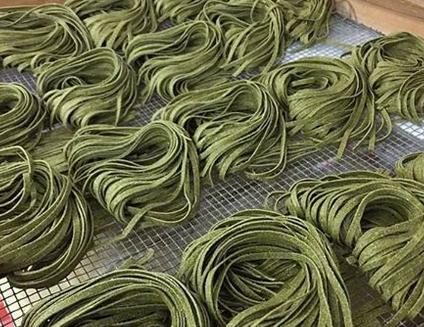 Covering all the pasta basics along with risotto, gnocchi, and crespelle, Vetri delves deep into food science and revels the secrets of the very best pasta. For cooks who want to take their pasta-making to the next level, this complete handbook is destined to become a must-have resource. 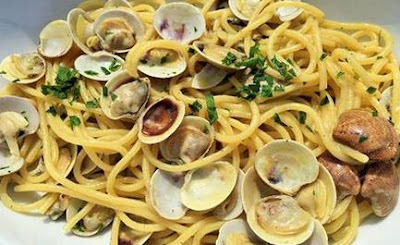 Please visit the Pasta Page at my Italian culture website: Candida Martinelli's Italophile Site.